The only known lifetime oil portrait of Bonnie Scotland, premier stallion of Belle Meade Plantation, with chief groom Robert "Uncle Bob" Green, painted and dated 1879 by Herbert S. Kittredge (American, 1853- 1881). 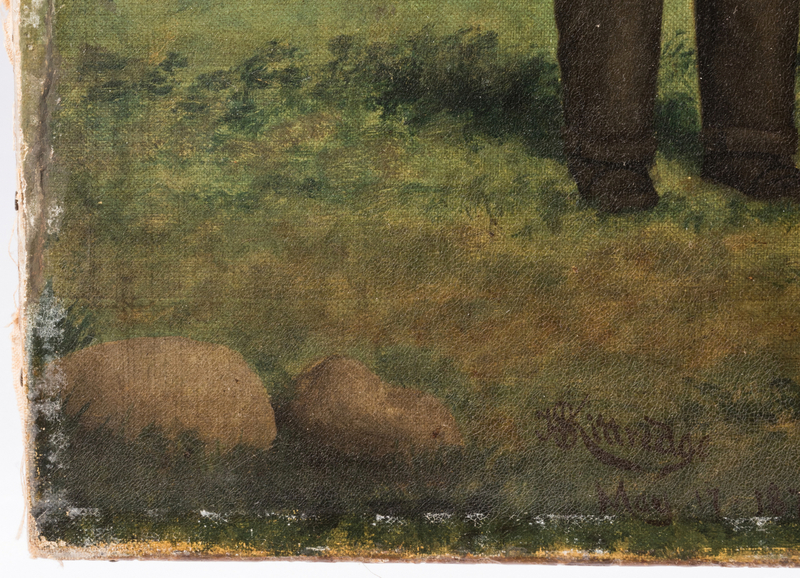 The iconic painting depicts Bonnie Scotland standing in a field under a partly cloudy blue sky, beside Green, who is attired in a white apron, dark pants and a hat; two trees and a fence are visible in the background. 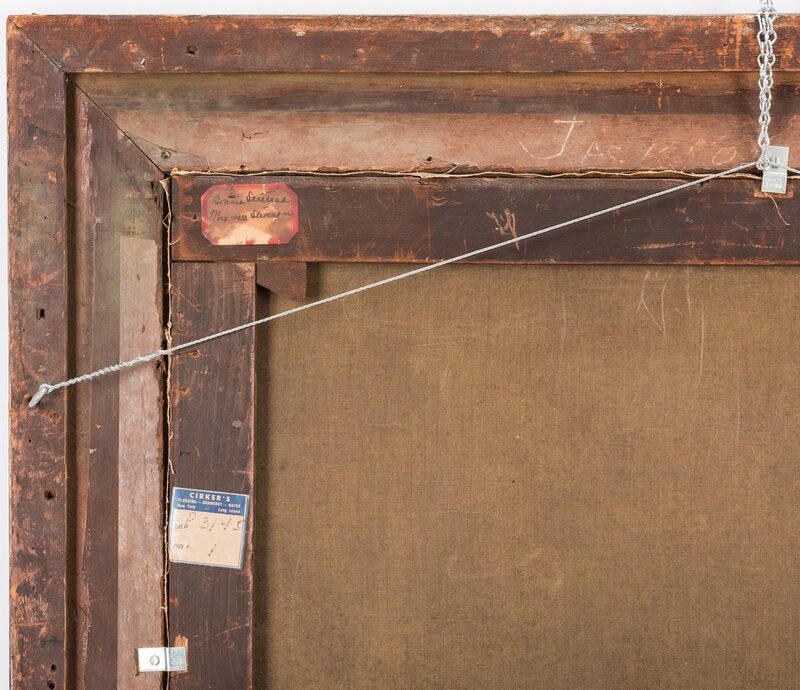 Housed in a molded giltwood frame with title placard front center. 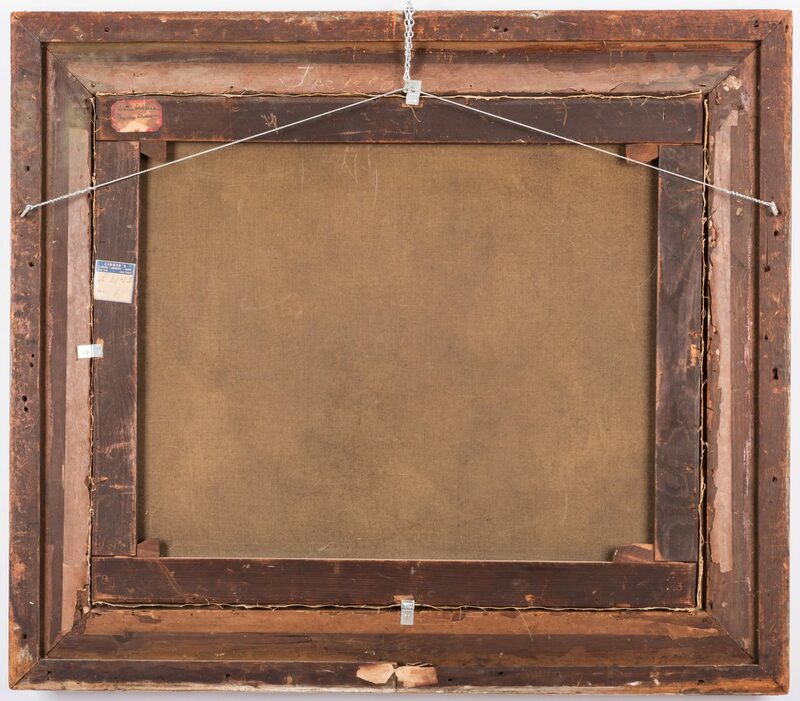 Sight – 24" H x 28"W. Framed – 33 1/2" H x 38 1/2"W. Provenance: The Harding Family of Belle Meade Plantation, by descent to present consignor. Note: Most of the Kentucky Derby winners of the twentieth century, and a significant number of other important thoroughbreds, can trace their lineage to Bonnie Scotland. The stallion was foaled in 1853 in Malton, England by Iago out of Queen Mary by Gladiator, and originally owned by William l'Anson. Bonnie Scotland overcame an injury at age 2 and went on to win the Liverpool St. Leger, but collapsed while winning the Doncaster Stakes, and was retired to stud at the age of 3. 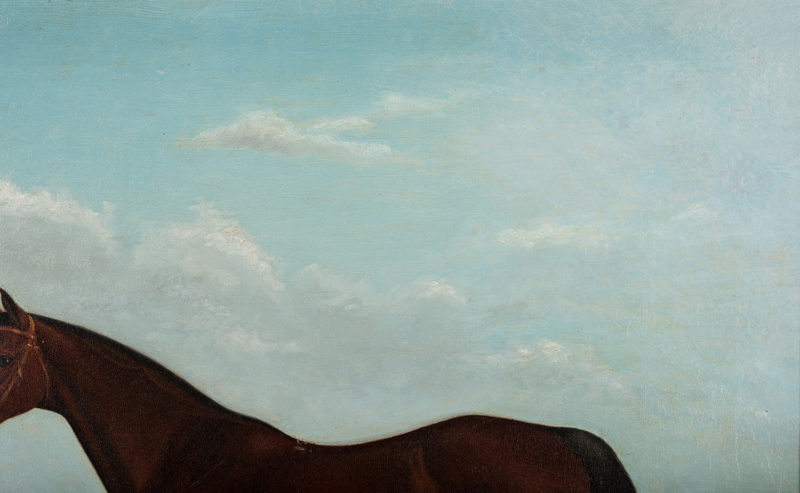 His great fame ultimately came not as an English racehorse, but as one of America's great sires. He was imported to New York in 1857 by Captain Cornish of Massachusetts and stood at John Reeber's Fashion Stud in Lancaster, Ohio, and Col. W.F. Harper's farm Nantura in Woodford, Kentucky. 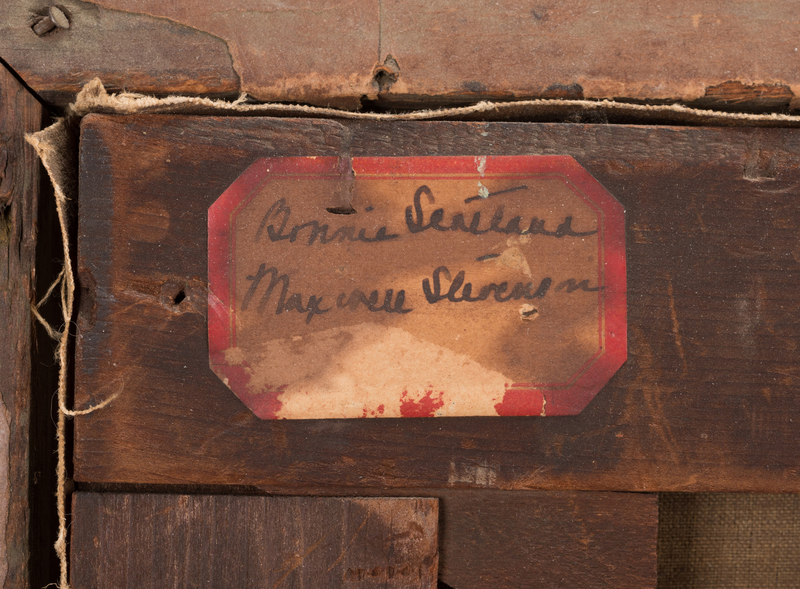 Other owners included J.C. Simpson of Chicago, Illinois, and C.C. Parks of Waukegan, Illinois. 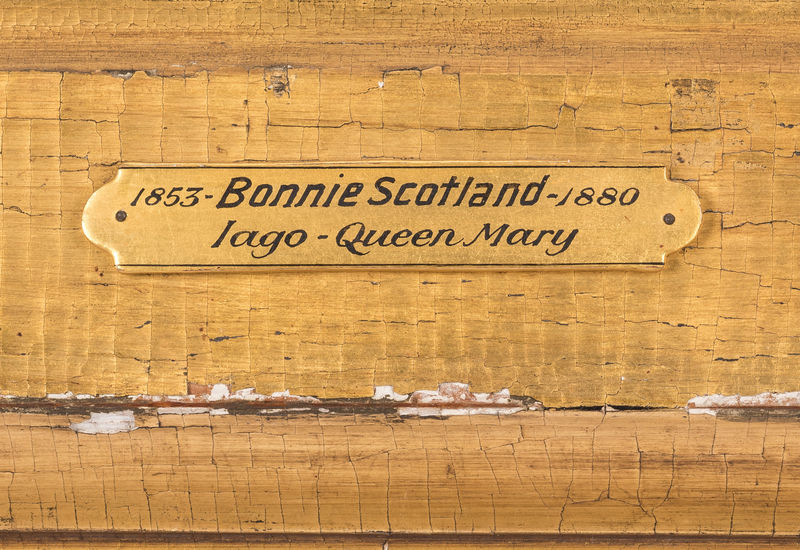 Although the Civil War disrupted the sport of racing in America, Bonnie Scotland spent the early 1860s siring runners that would go on to successful track careers, including Dangerous, Malcolm, Bourbon Belle, and Frogtown. In 1872, General William Harding purchased Bonnie Scotland and brought him to Belle Meade, where the stallion was bred with higher quality mares and established one of the most important sire lines in America. According to American Classic Pedigrees, he was the leading sire in America (1880 and 1882, runner up in 1868 and 1871), and "his progeny were known for good looks, balance, and overall soundness." Clio Hogan's Index to Stakes Winners 1865-1967 credits him with 21 stakes winners. Some of the famous horses from his line include Bramble, Man-O-War, Sea Biscuit, War Admiral, Secretariat, Seattle Slew, Affirmed, and most recently, California Chrome. 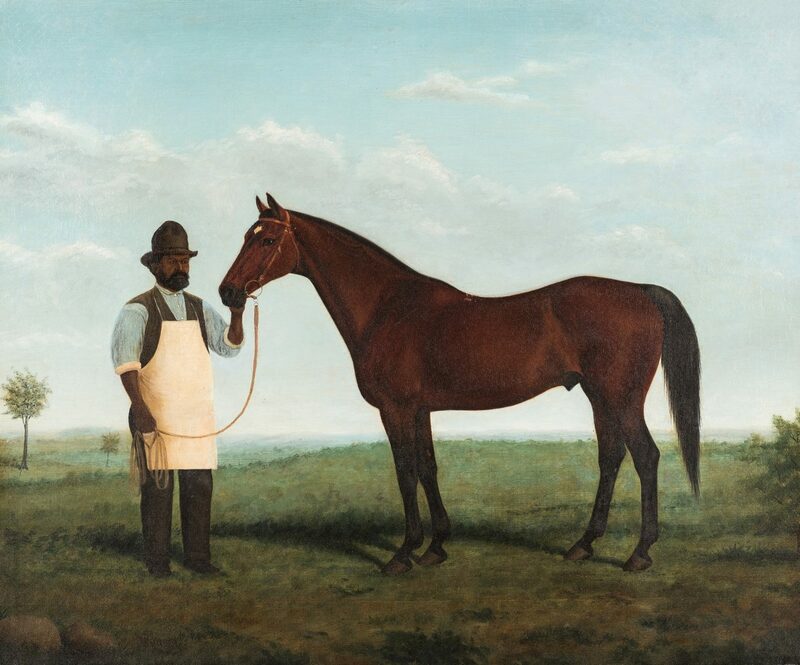 Bonnie Scotland died at Belle Meade in 1880, one year after this portrait was painted, having helped build Belle Meade's reputation as one of the great thoroughbred horse breeding nurseries in the world. Robert (Bob) Green was in charge of all the thoroughbreds at Belle Meade, a position which earned him international recognition. 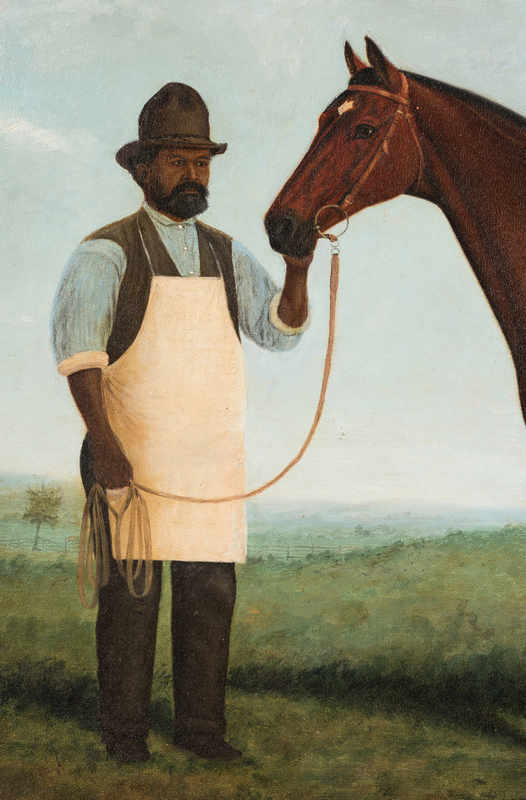 Born a slave, he was brought to Belle Meade in 1839 and thanks to his skill with horses, he soon became General Harding's right hand man, with four grooms working under his supervision. Green is credited with saving several horses from injury during an ill-fated railroad trip to New York, which was jeopardized by the Johnstown Flood of 1889. 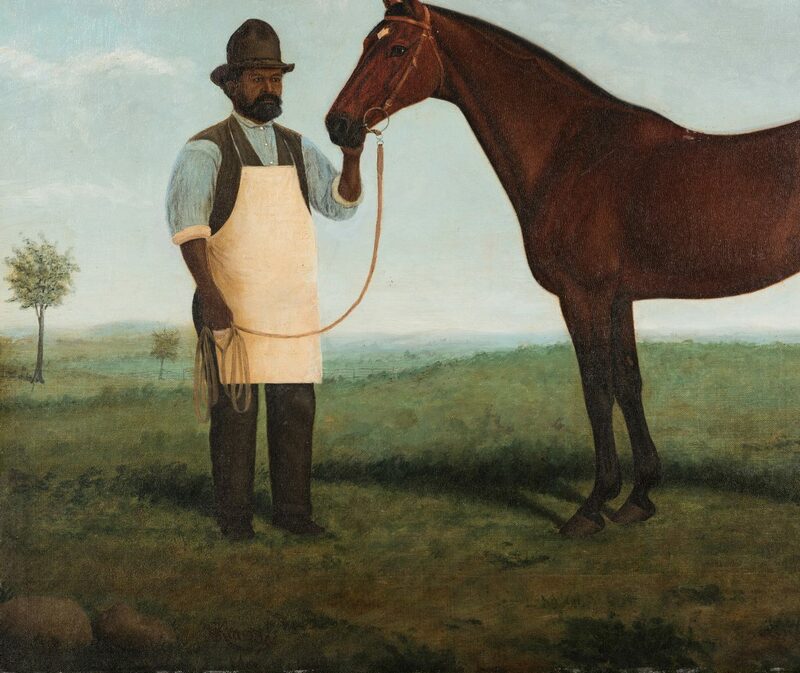 Following emancipation, Green became Belle Meade's highest paid employee, declining an offer from Fairview Farm in order to stay on with the Hardings. He led President Grover Cleveland on a tour of Belle Meade in 1887. 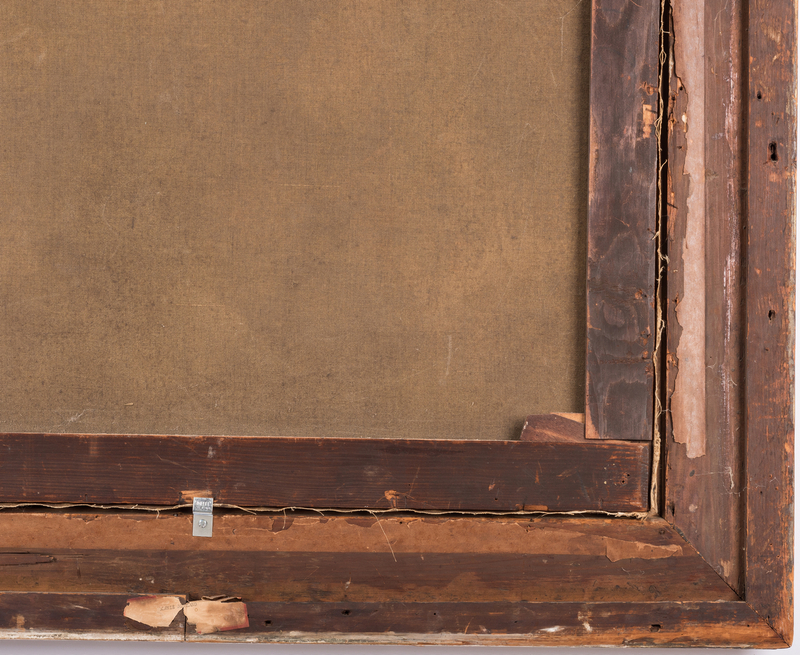 According to Belle Meade Plantation's website, near the end of his life, Green was forced to move from the property where he had lived and worked for decades. His request to be buried there was granted in 1906, and he rests on the grounds today in an unmarked grave. 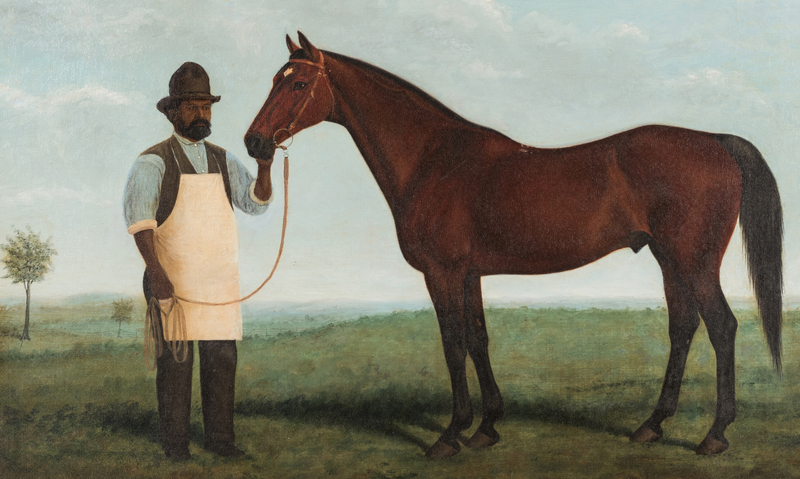 Artist biography: Herbert Kittredge's untimely death at the age of 28 cut short a blossoming career in sporting art. Little is known about his youth and training. 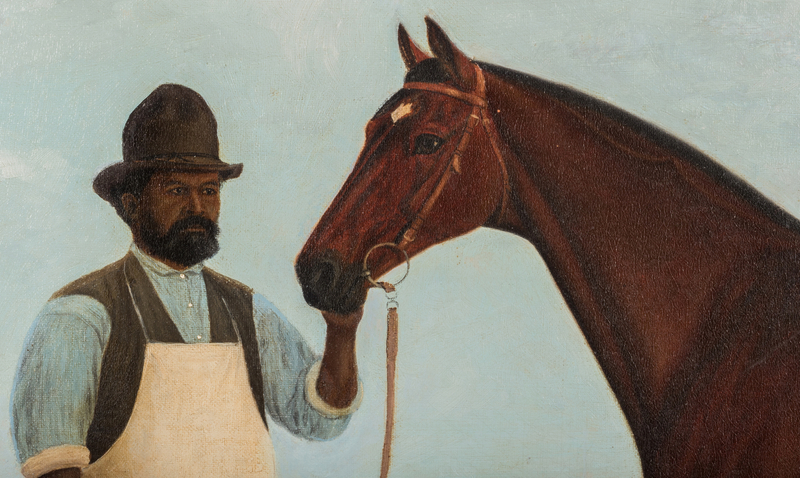 According to the book "Animal and Sporting Artists in America," in 1876, "the noted American thoroughbred breeder Randolph Huntington encouraged [Kittredge] to make equine portraiture his career while living on Huntington's stud in New York. 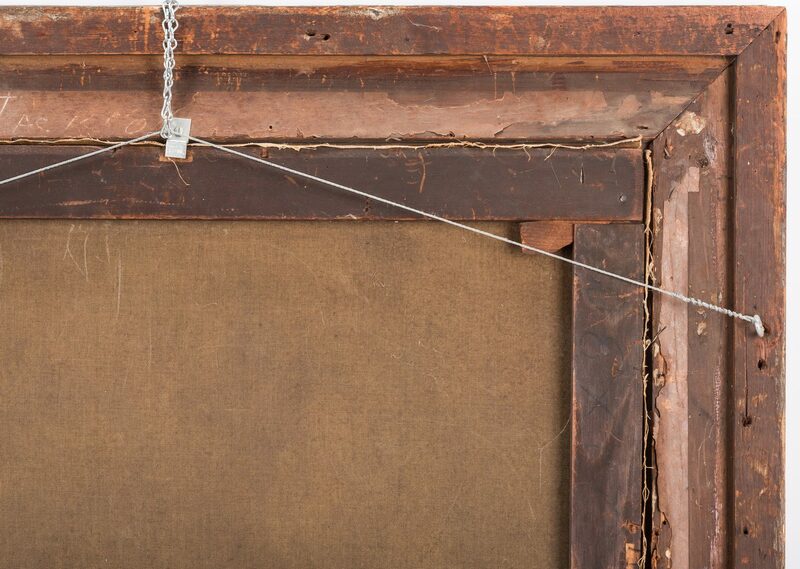 Kittredge was commissioned to execute drawings of Leopard, an Arabian stallion, and Linden Tree, a Barbary stallion, both presented to General Ulysses S. Grant by the Sultan of Turkey in 1879." 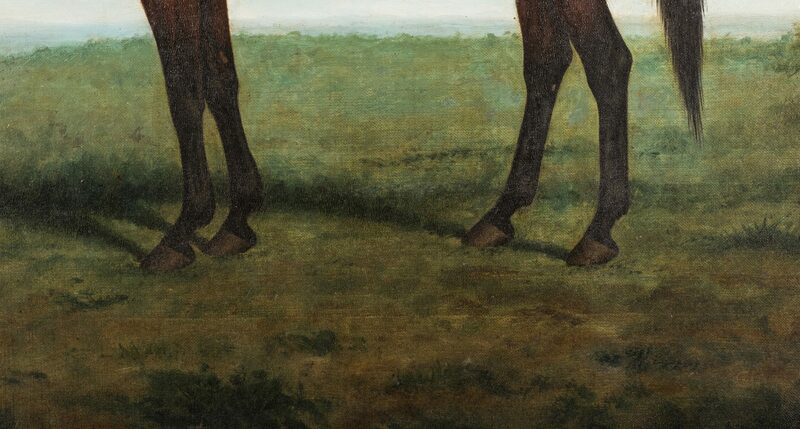 Kittredge's death at the age of 28 was reported in Wallace's Monthly, which stated in an editorial that "his first serious attempt to delineate a horse, so far as we know, may be found in the MONTHLY for October 1878." 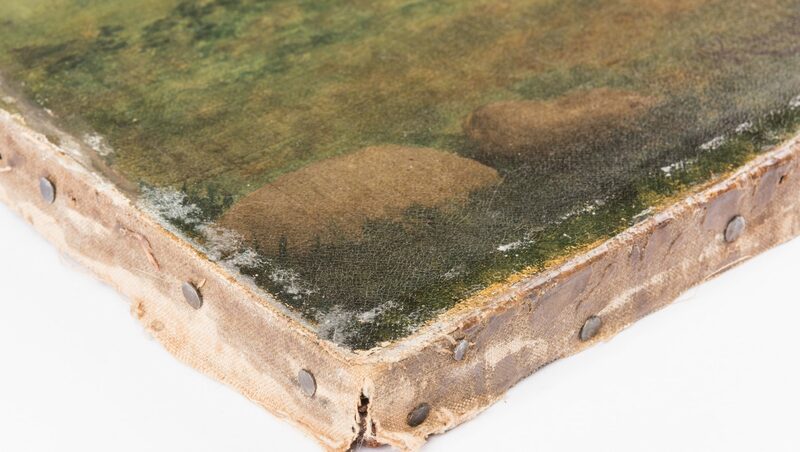 The young artist had come to the Wallace offices that year with a letter of introduction from Powell Bros. of Springboro, PA, and amazed the editors with his proofs of engravings of a Powell horse and several others. 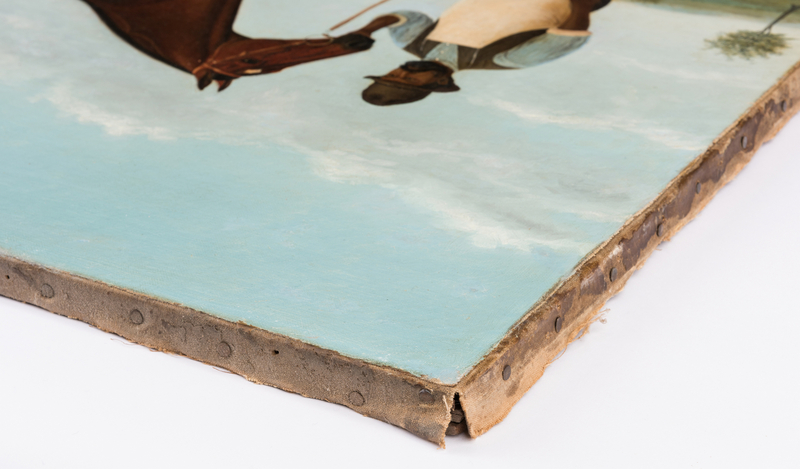 In fact, the magazine called Kittredge "the greatest and truest of all horse delineators the the world ever produced. 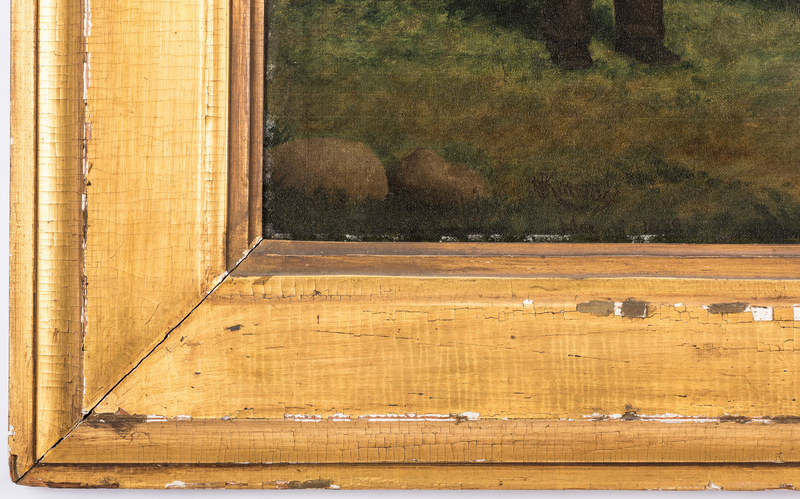 We have studied the great masters, ancient and modern, and with the single exception of Rosa Bonheur we have never seen one who could equal Kittredge." (Vol. 8, p. 694). 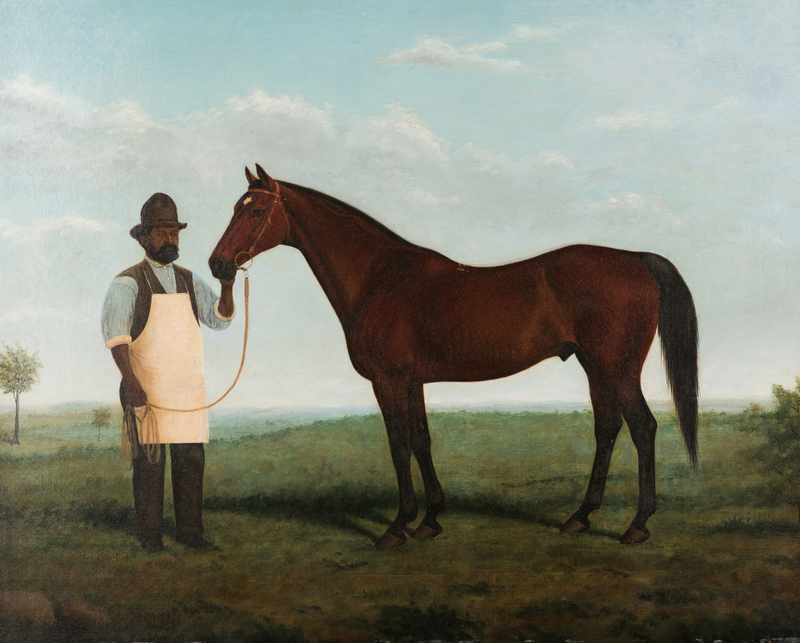 The Hardings of Belle Meade were known to have commissioned works from America's finest sporting artists. Edward Troye (1808-1874) was an early favorite. 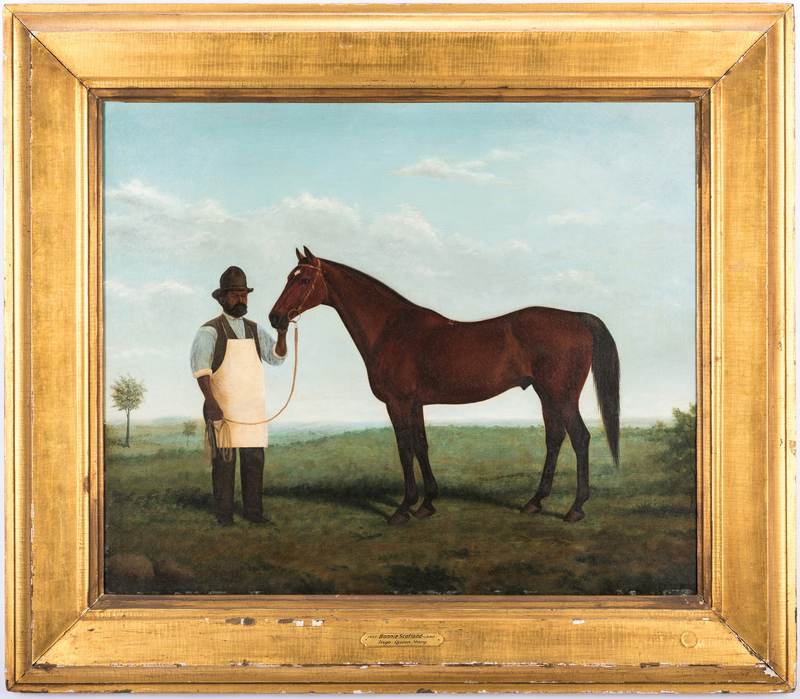 After Kittredge's death, they engaged artists including Thomas Scott (see lot #111 in this auction) and Canadian-American painter Henry Stull (1851-1913) to paint portraits of their best horses. 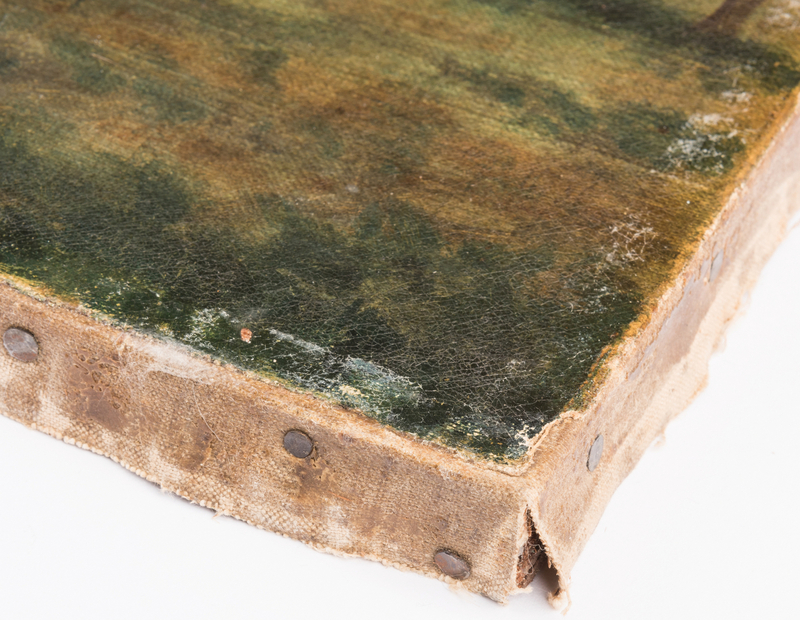 CONDITION: Painting is in very good condition with no areas of concerning deterioration. 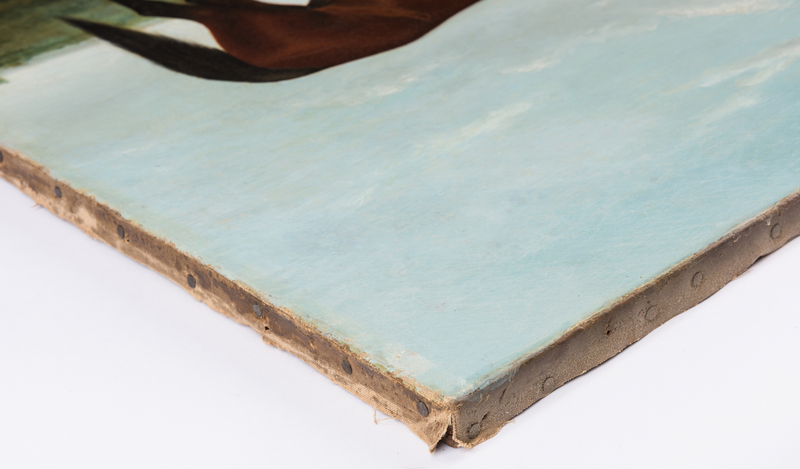 Fine to moderate craquelure overall, and canvas has been relined and trimmed. 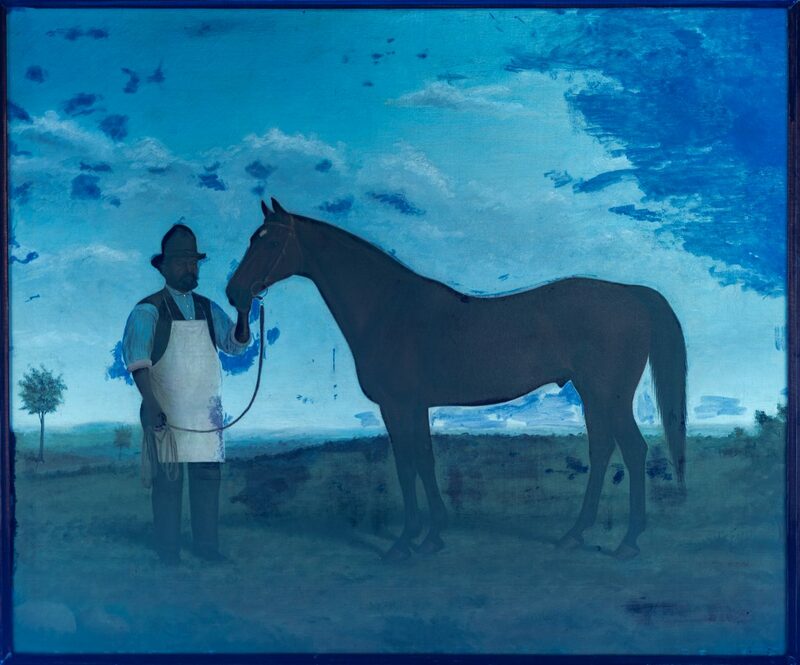 Blacklighting indicates areas of inpainting located near man's arms, under horse, and to right side of sky. Various pinhole losses across top of sky and minor loss to top left corner. 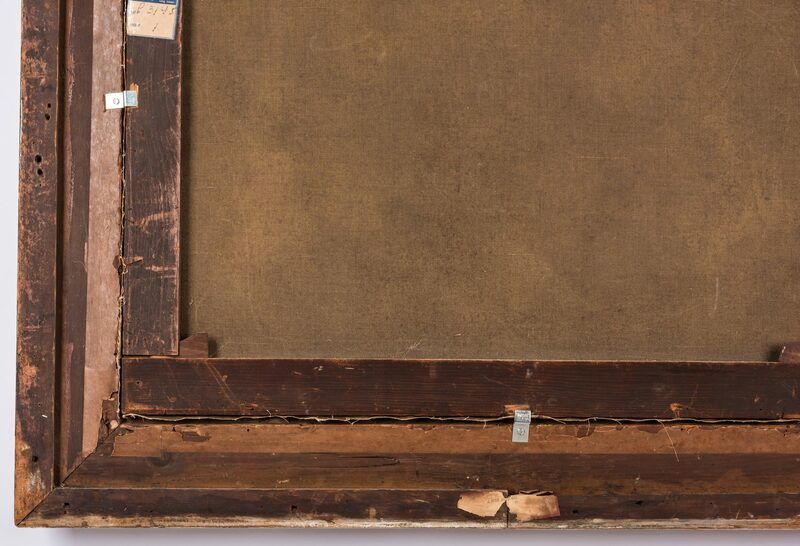 Stretcher crease length of canvas 2 ¾ from bottom edge.